In this issue: a legendary monster hunter, an asteroid barreling toward Earth, and a mechanic who finds herself playing the role of fairytale princess. All that plus a new contest! 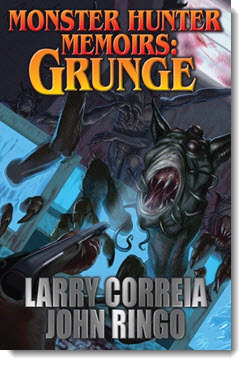 Get Monster Hunter Memoirs: Grunge here. Get On to the Asteroid here. Against all odds, spaceship mechanic Zen Sienna finds herself in a fairytale palace, being courted by the ruler of vast lands. But when revolution erupts and heads start to roll, Zen finds that the life of a storybook princess is not all fancy balls and happy endings. Swept up in a whirlwind of fire and blood, Zen must earn her citizenship on Earth and find her place in a world on the brink of revolution. 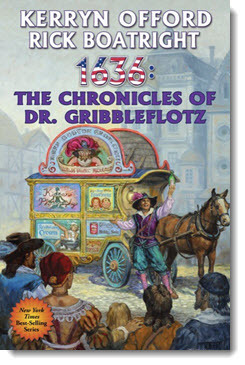 Get 1636: The Chronicles of Dr. Gribbleflotz here. Read the latest installment as well as the full poem to date here. In On to the Asteroid, a big chunk of outer space is barreling straight for Earth. The intrepid men and women of the burgeoning private space industry are doing what they can to avoid a cataclysm—but it may be too late! Which got us thinking. If an asteroid were heading straight for us, and you weren’t sure if disaster could be avoided, what SF/F series would you read or re-read to pass the time until the (possible) apocalypse and why. 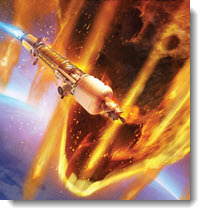 Let us know for your chance to win a copy of On to the Asteroid, signed by Travis S. Taylor and Les Johnson. Last month, in honor of Tony Daniel’s new novel The Dragon Hammer, we asked you what major (or not-so-major) events in American history might look like if Vikings took the place of the average American. Your entries provided some truly unique takes on the past. Congrats to Leonard Wechsler. 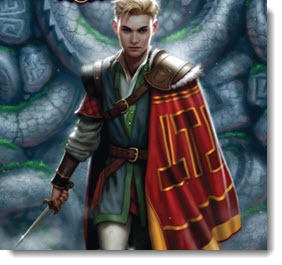 He wins a copy of The Dragon Hammer, signed by Tony Daniel. 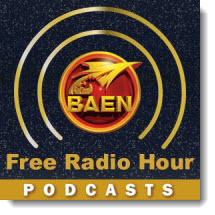 Coming soon to the Baen Free Radio Hour: Frederick Turner on his epic science fiction poem, Apocalypse, now being serialized in weekly installments on the Baen.com web site. Plus, Larry Correia and John Ringo discuss Monster Hunter universe collaboration Monster Hunter Memoirs: Grunge. 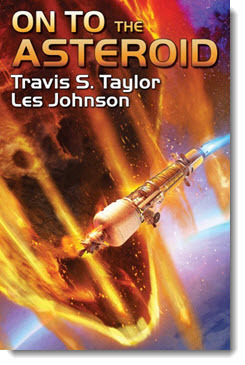 And Travis S. Taylor and Les Johnson talk about their new near-future science fiction novel, On to the Asteroid, as well as destruction from near-Earth orbit—and how to avoid it. Missed past episodes? No problem. We’ve got every episode archived for your listening pleasure. 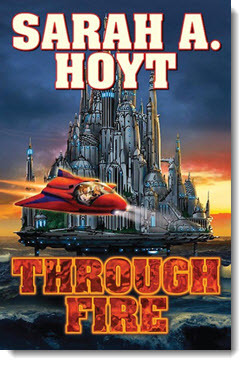 Against all odds, spaceship mechanic Zen Sienna finds herself in a fairytale palace, being courted by the ruler of vast lands. But when revolution erupts and heads start to roll, Zen finds that the life of a storybook princess is not all fancy balls and happy endings. Dr. Gribbleflotz: the world's greatest alchemist and a man lost to history. But by applying his superb grasp of the principles of alchemy to what the Americans of Grantville, WV call “chemistry,” Gribbleflotz may yet leave obscurity behind. 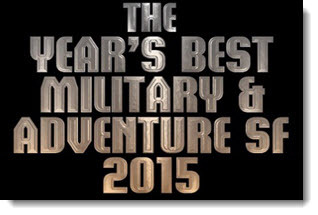 Don't forget to check out the newest ebook releases here. 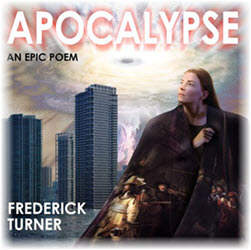 Plus read our new serialized epic poem Apocalypse by Frederic Turner here.And check out this month’s new non-fiction essay, “The Science of Dr. Gribbleflotz” by Rick Boatright here. 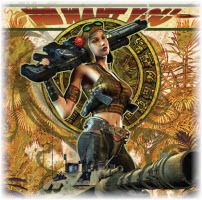 For upcoming appearances by Baen authors and editors, check here.